Caribbean Concierge Services by Artemia (CCS) is a full-fledged Destination Management Company designed to provide all the services necessary to make your stay in Sint Maarten/Saint Martin one of pure enjoyment and ease. Corporate Retreats, Meetings and Incentives, Sales Meetings, Meet and Greet Services, Group Excursions, Dine Around Programs, Team Building Activities, Round Trip Transfers, Cruise Ship Ground Handling and Provisioning etc. are all part of the vast array of services available. Get a taste of some of St Maarten/St Martin’s beautiful attractions by visiting some of the islands most breathtaking beaches, restaurants, night clubs, hotels and activities. We will introduce you to the best of what the island has to offer for your group. We are a full-fledged Destination Management Company designed to provide all the services necessary for Corporate Retreats, Meetings and Incentives, Sales Meetings, Meet and Greet Services, Group Excursions, Dine-Around Programs, Team Building Activities, Round Trip Transfers and much more. We provide the very best in Concierge Services to a wide variety of clients. Our specialized skills include but are not limited to: Organization and Logistics of Tours, Ground Handling Services, Activities and Events. 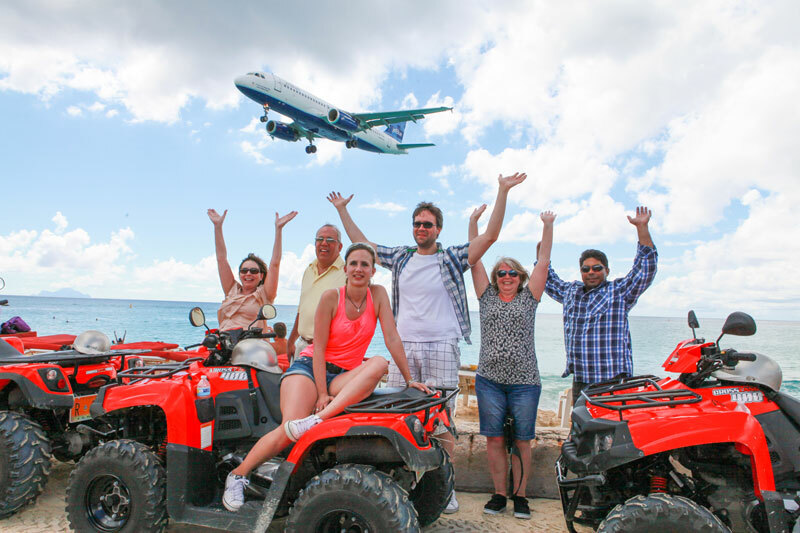 Our repertoire includes international experience, local knowledge and expertise which will guarantee that your stay in Sint Maarten will be one of pure enjoyment and ease. Our professional staff can arrange all your transportation needs to ensure timely transfers. Vehicles of all sizes are available to meet your group’s needs and all transfers are private to your group only. Sedans, SUVs, Limousines and Deluxe Vans are available for VIP Transfers. 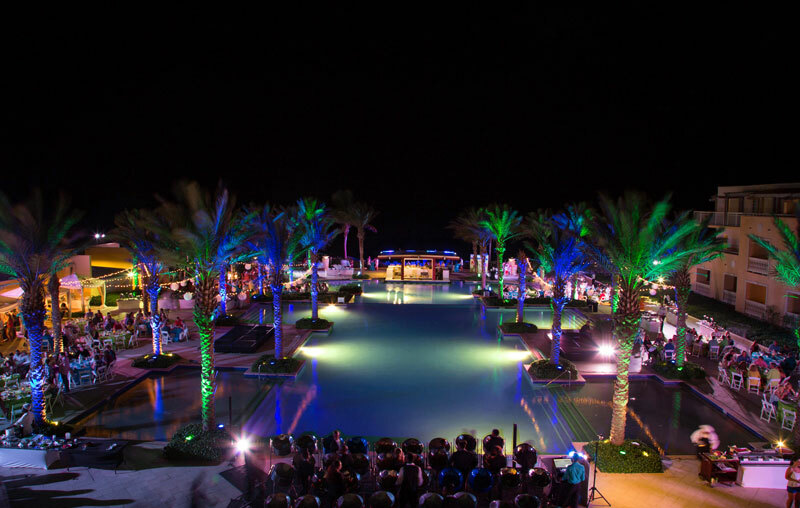 Our skilled staff understands the importance of a professionally organized Corporate Retreat as this plays an essential role in a successful event. In these competitive times a company must innovate and reinvent to be able to thrive and survive. We can organize key note motivational speakers designed to empower and educate your top performers. Spice up your meetings with fun team building activities, end your business session with a relaxing sunset cruise and why not escape the meeting room for an outdoor lunch? We can make it all happen for you. Savor the Caribbean’s finest restaurants with chefs serving up authentic French, Dutch, Italian, Fusion, Caribbean and other cuisines. 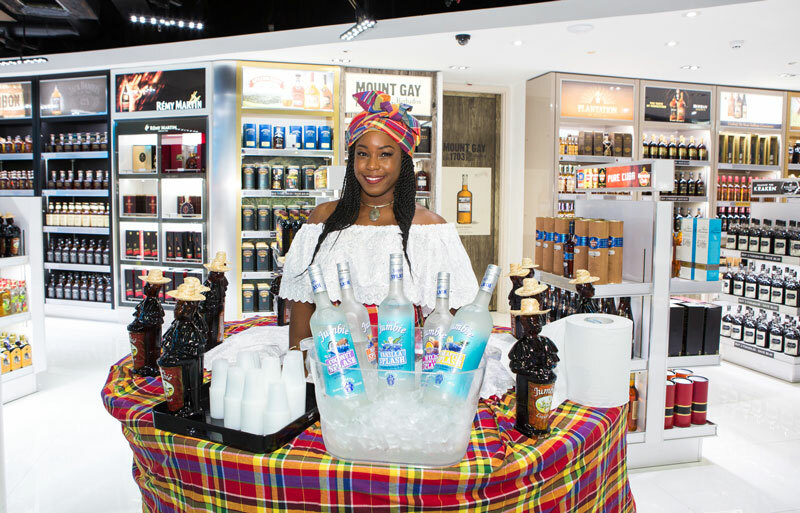 This is a chance to wander through the quaint Fishing Village of Grand Case, the picturesque capital of Philipsburg, the French Riviera of the Caribbean, Orient Bay, and many other enticing locations; all with a culinary surprise at every corner. A series of restaurants are selected based on their trademark gourmet creations and exquisite diversity of international cuisine. We have a wide range of activities by Land and Sea. 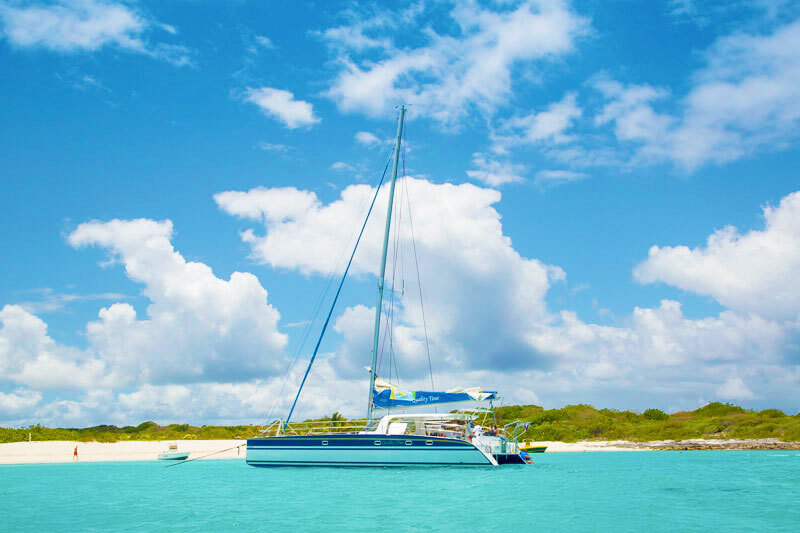 You can enjoy a relaxing day in a catamaran or an exciting day full of adventure doing zip lining or Horseback riding. 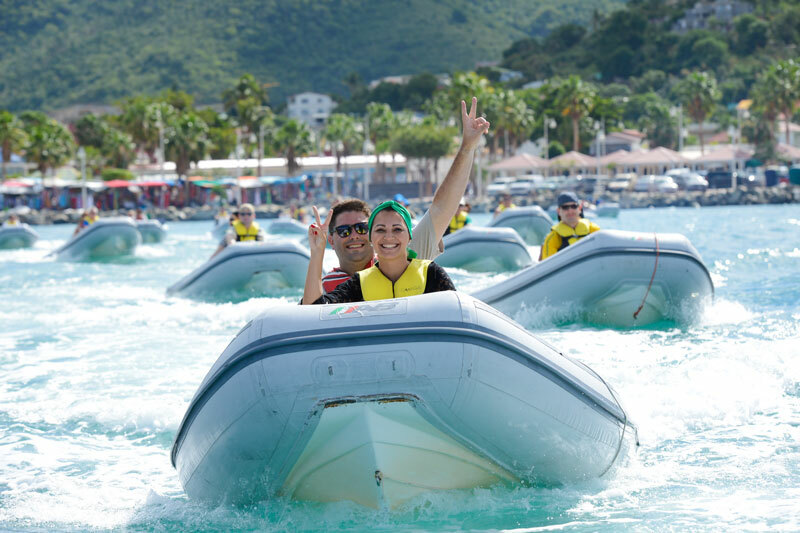 In just a few hours you can experience the most exhilarating water sports & activities or let our experts show you the most beautiful hidden places on the island on a jeep safari or island tour. We offer the most efficient Ground Handling Services on the island with diverse, multilingual staff who knows what service is all about. From meeting your guests at the airport, directing them to their transfer to giving them a personalized orientation, our staff will advise your group of how to enjoy the island and their hotel to the fullest. With our expertise and organizational skills, we can help you to discover the diversity of our surrounding islands without staying overnight. Ask us about a day in St. Barthelemy, the playground for the wealthy and famous, or sunbathing on one of the world’s most beautiful beaches located in Anguilla. We can take you on an authentic Caribbean journey. The choice is yours; The expertise is ours. One of our representatives, a trained professional with a wealth of knowledge about St. Maarten/St. Martin, could be available at your Hospitality Desk to assist your group with restaurant reservations, golf tee times, activities and all the island has to offer! Would your company like to do something to help the Sint Maarten community during your stay on the island? Your company’s stay can both be pleasant and relaxing for your guests and be rewarding for the community at the same time. There are countless number of projects and activities in which you or your group can participate. One can think of school related, community or ecological projects. We can help you organize such an activity into your group’s schedule. We have many contacts on the island and we communicate often with community centers and organizations. This Team Building activity is a win-win situation.